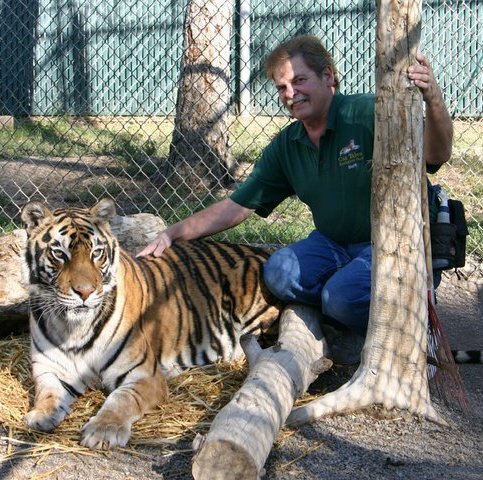 Called Sun Bear by our staff, Mike fully immersed himself into the life of animal rescue in 1991 when he and his wife decided to open Cat Tales as a sanctuary for endangered and orphaned big cats. In the passing years he's been a strong leader for our crew in the growing of this Spokane staple. After Graduating high school, Justin spent some time in Mexico teaching English before he came to Spokane and started in our Zoological Training program. Upon graduation he was offered a job as a manager and instructor here at Cat Tales, and has been one of our team members ever since! Justin is dedicated to our animals, as well as the animals of our planet and their care and well being. 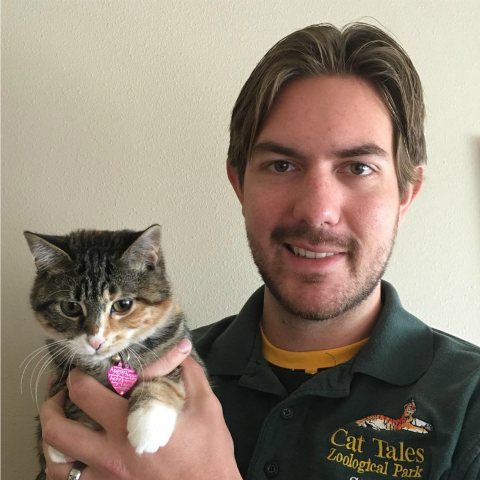 One of our 2007 graduates, Matt took on the role of maintenance supervisor here are Cat Tales, making sure that all of the habitats, structures, grounds, and vehicles are maintained to a high standard. You can also see him working as one of our main animal handlers with the lions and tigers as the lead. ​After graduating from Cat Tales Zoological School in 2001, Wendy realized that animals were one of the most important things in her life. This has led to her becoming one of our instructors, as well as her active work in medical procedures of all kinds for our exotic animals. 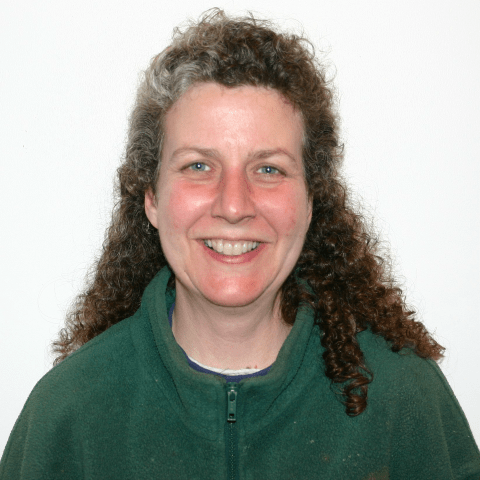 You can see Wendy daily as she assists Debbie daily with the health management of our animals. 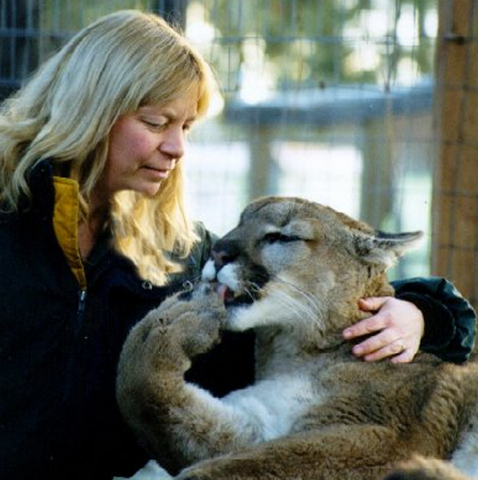 ​One of our habitat designers and constructors, and a keeper since the inception of Cat Tales. Ryan has been an integral, and invaluable part of the Cat Tales team. When he isn't spending his time between caring for his feline family and overseeing the other keepers, he's a full time father at home for his six year old son. After an elementary school field trip to Cat Tales, Tyler became self proclaimed obsessed with the exotic animals in our care! A passion that drove him to eventually graduate from out Zoological School after years of watching the cats and zoo grow. Now he's worked for us for two years, and even though he is allergic to the cats, Tyler says that the pain is worth the love. ​From joining the Peace Corps at 63 to still volunteering here at Cat Tales at a fresh 87, Margaret has dedicated her life to the protection of all lives around the world. She's a lover of bears and tigers, a painter, and a photographer. We're also happy to report that Margaret is the 'mom' to our directors, keeping an eye on them like no one else can.